Bathtubs are becoming a must have for many of the households. They are ideal for users who need to take time and relieve the stress of the day instead of taking a quick shower. 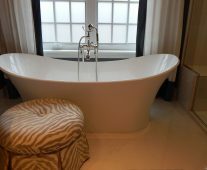 There are several types of bathtubs to choose from, but soaking tubs are considered the best for the ultimate relaxation experience. To choose the best soaking bathtub, you have to consider a few factors. The main are size, material, accessories, and budget. The review of the best soaking bathtub will give more insight on the products available helping you to make the best decision. The Cambridge bathtub is a 5-foot tub made from americast material. It measures 60 by 32 by 17.75 inches. The material makes the tub 50% lighter compared to the tubs made from cast iron. The tub also comes with an integral apron that reduces the installation process. In addition, an integral tile flange is in place to support the tub when installing the tile that connects with the tub. The product is durable, cheaper to install and can be made flatter, deeper and roomier. The stylish design and porcelain finish make this product a must have. It has a gently curved bathing wall that is embracing. Also, a line contour is present at the front of the apron to create a great bathing experience. The location of the outlet for drainage is on the right hand. In addition, a headrest to enhance comfort if planning to have a long soak. Most noteworthy, the tub design enables it to be slip-resistant ensuring security. Furthermore, the product is Americans with Disabilities Act (ADA) compliant with a seat at the end of the tub. The colors available to choose from include; bone, linen, white and arctic white. The acrylic bathtub measures 67 by 31.75 by 23 inches. As the name suggests, the material making the product is acrylic. Furthermore, the material has fiberglass reinforcement to increase durability. The tub also does not fade or stain. It has a capacity of 200 liters. It has a unique design with an adjustable base that allows accurate leveling. The adjustable base also allows the tub to be more stable. The design allows the user to lean back and sit comfortably to enjoy the experience. Another great feature of the soaking tub is the push pop-up and overflow drain integrated into the system. The drain system is center with a waste and overflow for simplified installation. The product from Kaifeng is made using 100% acrylic. The inner dimensions are 42.5 by 31.5 by 19.3 inches with a capacity of 70 gallons. Smooth treatments are applied to the interior and exterior sections of the tub. These enable the user to have a comfortable bath. The advance drain system is included and is positioned at the center of the tub. There is also an overflow. Another feature worth noting is the adjustable feet of the product. These ensure accurate leveling takes place. The soaking tub is easy and quick to install. Finally, the Kaifeng has acquired many certifications such as CE, Cupc, US, Canada and ISO9001. The archer measures 60 by 32 by 19 inches. It offers a comforting depth of 19 inches over the height. 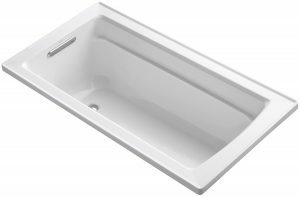 This depth is similar to the 21-inch depth bath tubs. 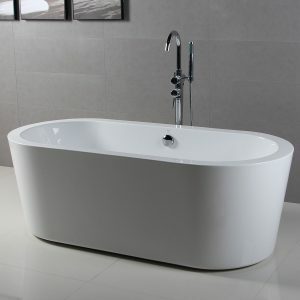 The tub has a lumbar arch that is molded to support the body while in the tub. Furthermore, it has a textured bottom surface that makes it comfortable to step and safe to prevent slipping. The product requires a slotted overflow bath drain. The K-7271 and K-7272 shower drains may be used. Also present is a tile flange integrated into the product. This allows the installation of the tub by three wall. The Ferdy is a soaking bathtub made using acrylic as the primary material. The tub measures 67 by 33 by 23 inches. It has a capacity of 55 gallons with a depth of 13.4 inches. The product features adjustable feet that aids in leveling in cases where the floor is uneven. It also has an overflow with a flexible drain pipe suitable for 12 to 32-inch sizes. The treatments of the tab are smooth creating a conducive area to take a long soak. It has a fantastic finish which is glossy white. In addition, the product from FerdY is cUPC certified. Most noteworthy, the product has a 2-year warranty that covers quality issues with the regular use of the product. As the name suggests, the tubs support themselves and do not have a surround. They have feet to stand on and are encased by tiles, custom stone, panels or marbles. The sizes and colors are also varied. The material making these type of bathtubs is cast iron with a porcelain enamel finish. The porcelain finish is both on the in and outside of the tub. They come in different sizes. These type of tubs are ideal for individuals who love traditional and restorative designs. This is because they are a traditional form desired in the 1800s. These are a special kind of tubs that are ideal for individuals with a problem moving from one area to another. They feature in-built seats that assist when sitting and standing up. There are varied sizes to choose from. However, most of the products fit the same space as the regular tubs. Soaking bathtubs are large, extensive and profound enabling the user to feel the impact of water and enjoy the bath. Some of the tubs are able to accommodate two people. Their capacity is also adequate starting from 50 gallons. The materials making these products are varied. For example soaking tubs made using cast iron, acrylic and a combination. The standard tubs are commonly made from fiberglass and cast iron. There are two different sizes of the tub; the 60 by 32 and 60 by 30 inches. Another common feature with these type is the drain. The drain in the standard tubs corresponds to the facet at either the right or left section. The size is a significant factor. It is determined by the space available in the area to install the tub. The size should be ideal to fit the users and also not crowd the space thus allowing smooth movement. The recent technological developments have seen the coming up of several customization features that elevate the soaking experience in the tub. Speaker panels that send sound through the water to cause vibrations and digital controls are some of these features. Other useful additions include music and Chromatherapy that help to create a soothing and relaxing ambiance. A soaking bath requires a relatively high investment. Find a product that fits within the budget you have. The chosen product should meet all the features unique to you. 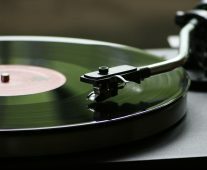 High priced products do not necessarily mean quality. The materials utilized in making the soaking tabs include acrylic, americast, stainless steel, copper, and cast iron. The material determines the weight of the product. For example, tubs made from cast iron are heavier compared to those made using acrylic, americast and the other materials. In addition to the weight, they also determine the maintenance practices. 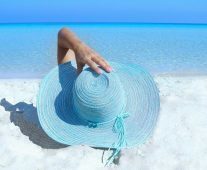 Acrylic is the most popular material due to its durability and lightweight. Getting a soaking bathtub is a great investment as it is a form of relaxation. Identify the needs that you have in order to select the product that closely suits you. There are different types of bathtubs, soaking type being the most common. They are durable, lightweight and the right size to ensure a comfortable and relaxing soak. The most common and best soaking bathtubs are made using acrylic. Finally, apart from the review, before buying a product seek to get reviews from different users to get their experiences. Taking a bath? Don’t forget to buy the best luxury products you can afford to pamper yourself with. If you don’t have time or budget for a full luxurious bath, you might want to consider a heated foot spa for soaking just your feet. Alternatively, if lounging around with drinks is what you really want to do, a dry version of the soaking bathtub just might be the new zero gravity chairs.